Imagine being on a pig farm that does not reek, where the sight of one of these portly creatures would be the only evidence of their presence. The Jamaica 4-H Clubs, a leading youth training organisation, is embarking on a project that takes away the unpleasant smell from its piggery. The Long Pond bio-digester plant that is located in Chudleigh, Manchester has been designed to provide gas to operate stoves and other equipment in the training area, and also to control the pungent smell coming from the piggery. The project, which is located at a building formerly used as a farmers’ training centre in the early 20th century, spans five acres. “This is a property that the Manchester 4-H Clubs has acquired from the Commissioner of Lands on a fifty-year lease,” Ron Blake, Field Services Coordinator for the Central Region of the Jamaica 4-H clubs informs JIS News. Described as ‘very excellent’, the bio-digester project that commenced in June 2004 is seen as a potential major income earner for the parish. The development of the project and the piggery were made possible through a grant of $2.174 million donated by the Environmental Foundation of Jamaica (EFJ). “This was used to do rehabilitation work to the commercial piggery and to set up the bio-digester Project,” notes Mr. Blake. In addition, the club was provided with $1.2 million from the United States Agency for International Development (USAID). This was used to do additional rehabilitation work on the centre. In addition to the bio-digester plant and the commercial piggery, the Long Pond 4-H Training centre also has a sporting complex, which includes a hard court and a field serving most of the schools in that area. 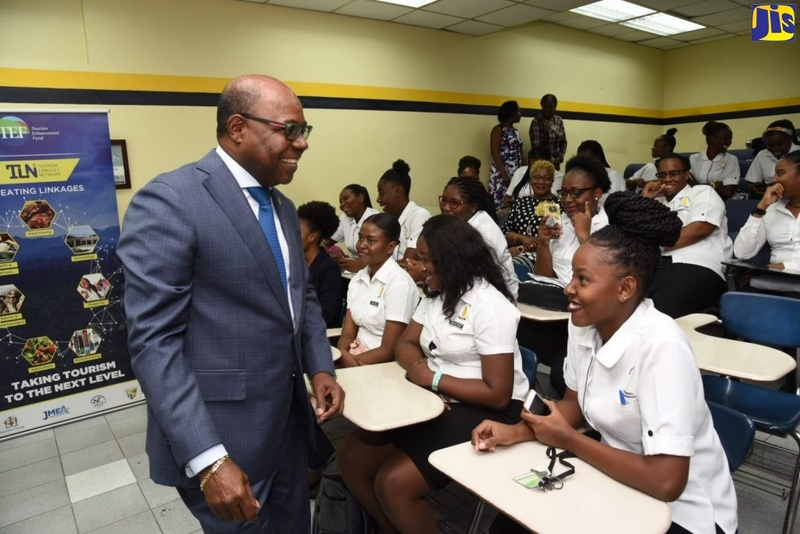 Over the past few years, “the Manchester Advisory Council working in collaboration with the Jamaica 4-H Clubs Board of Management, have developed the centre into a model training enterprise for clubbites and the wider community”, he added. In September of this year a landscaping and nursery management course will commence at the centre. Meanwhile, in another couple of weeks the centre will be embarking on another project at an adjoining facility, to produce coffee seedlings and other timbers and fruit trees. “The nursery has the capacity to produce a million coffee seedlings,” Mr. Blake tells JIS News. Besides the Nursery Management course and the coffee nursery, the Long Pond 4-H Training centre has partnered with Bodles and the Jamaica Bauxite Institute (JBI) to conduct research on yams, hot peppers and other crops. The centre also hosts a rabbitry that was funded at a cost of $100,000 by patron for the Manchester 4-H Club, Dunbar McFarlane. The waste from the rabbitery and the poultry farm will also be used to create fuel for the centre,” notes Centre Manager, Barrington Henry. He added, “the extra liquid from the plant is used in the irrigation process at the centre, and this liquid contains soil nutrients such as iron and magnesium, not normally found in regular fertilizers”.